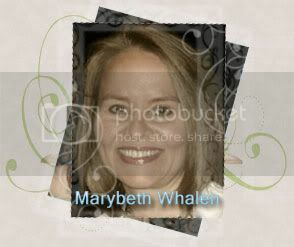 Please welcome Marybeth Whalen to Novel Matters. She is the co-founder of our sister blog She Reads, a wonderful connecting place between readers, writers, and book clubs. I've heard this adage since I was in creative writing class in high school. And while it might be true, it's been repeated so often that I don't think we even hear it anymore. Like a favorite Bible verse, do we even stop to really ponder what it means? What would it mean for you to write what you know? I have found that writing what you know can be invaluable. The trick is to find that thing that you know that no one else knows about. I had been visiting the mailbox on Sunset Beach, NC for years and years. So long, in fact, that I can't even remember when I first started going or how I first learned about it. I loved the mystique of the place, the folklore attached to it. I loved going there and reading the letters from people all over the world left for the Kindred Spirit-- the anonymous person who tends the mailbox. I loved leaving the occasional letter myself. But it wasn't until two years ago that the idea occurred to me that the mailbox would make a perfect centerpiece for a romance. It was already a romantic place. But surely someone else had already had the idea... right? I searched Amazon, Barnes and Noble and the library. I went to the bookstore in Sunset Beach and asked the book mavens there if they'd ever heard of a book that focused on the mailbox. When they said no, I whispered a silent, "Yes!" The mailbox-- at least as far as the subject in relation to a novel was concerned-- was mine. I had found something no one had done, about something I was uniquely aware of. This month my novel, The Mailbox, is being released. My unique angle on a beach romance paid off. We all have things like this if we learn to look for them. That ring that was your grandmother's with the mysterious story attached to it. The family tall tales of your great grandfather, the horse-riding evangelist. That little out of the way vintage soda shoppe you've been going to for years with the sassy, gum-cracking waitress who must be 90 years old if she's a day. The trick for all of us is to look around, to pay attention to what we've experienced, felt, thought or been piqued by and wrap a novel around it, focusing on the uniqueness of those experiences, feelings, and curiosity. My friend Ariel finds endless story ideas through the newspaper and magazine articles she reads. Her novel eye of the god was sparked by an article she read in Life Magazine in high school on the curse of the Hope Diamond. This article caused her to begin researching the curse, and over time a novel came out of the information she had acquired. She was passionate about it, and that passion lives and breathes on the pages of her novel. It became uniquely hers and she was able to uniquely share it. Any of us can tell a story about friends or motherhood or WWII or a vacation. But can we set those stories somewhere interesting that most other people don't have access to? Can we have characters who do fascinating jobs that most people don't know about? Can we find a unique motif or object to center the novel on that is part of our culture or geography? Publishers will tell you that selling a novel does depend on the writing-- absolutely-- but it also depends on bringing something new to the table-- approaching a subject that's been done a million times in a way that is fresh and exciting. What do you bring to the table? Start looking around, paying attention, and discovering how to write what you know... that no one else does. I created a theme from a painting I remember my best friend had in her home. Her mother's maiden name was Fleming and someone in her family had painted a line of Lemmings leaping from a cliff and made a spoof of the name. The painting stuck with me and I turned it into something more in my novel Noble Efforts to Engulf the Moon. I love how sometimes we don't even know what will stick and what won't. I love this post because it's truly a way of looking at "Write What You Know" in a new light--one I'd never considered. There are so many things in our lives that we can see as mundane or uninteresting to others but if we use a good story telling eye and a dash of imagination, then reality can become a little piece of escape and joy for someone else. Thanks! Great thoughts. I'm always delighted to think how God has, our entire lives, prepared us to write about the characters, incidents, and plots that will come to the forefront in our writing. I'm writing about adoption in a light I've never really seen before in the CBA industry. After seeing the best and worst of adoption firsthand, I'm honored to be one to bring that to the table. What a great post! Loving this fresh take on "write what you know." I enjoy weaving a bit of my Aussie culture into the books I write. The setting seems "ordinary" to me, but I try to see it through the eyes of a traveller, and that freshness of observation helps add interest and texture. Glad the post spoke to you and encouraged you to write what you know. I had known about the mailbox for years and years but never considered it as a jumping off place for a novel. Now I am so glad I did! !